Taking a prudent approach to running a leading international bank was not a particularly prevalent strategy in the years preceding 2008’s banking crisis. In the middle of the last decade, while many of the world’s biggest financial institutions chose to overextend themselves in the chase for greater profits, the recently installed CEO of one of Europe’s biggest banks took an alternative approach. 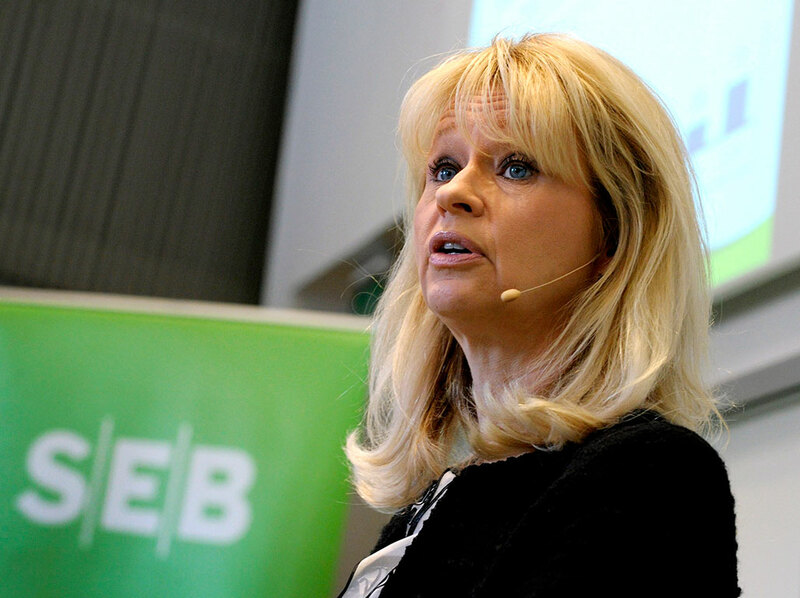 Annika Falkengren was made CEO and President of Sweden’s Skandinaviska Enskilda Banken (SEB) towards the end of 2005 and immediately took a conservative approach to running the bank. Building capital reserves prepared the bank for the impending financial storm that swept across the industry, and actually allowed it to lend far more than its competitors during the height of the crisis. It represented a vindication for Falkengren, who had been dismissed by critics as being too cautious and not right for the top job at one of Europe’s most prestigious banking groups – a company she had worked at her entire career. Between 1988 and 2000 Falkengren worked within the Trading and Capital Markets division at SEB, before being appointed Head of the Corporate and Institutions division in 2001, where she grew the business to a point where it accounted for nearly half of the group’s entire earnings. After a number of years running the division, Falkengren was appointed group deputy CEO in 2004, before replacing outgoing CEO Lars H Thunell in 2005. Her success has led to a number of awards recognising her achievements. She has consistently been ranked as one of the most influential women in business by Fortune magazine, ranking number eight in 2010. In addition, aside from her position at SEB, she also sits on the supervisory board of leading German car manufacturer Volkswagen. Falkengren’s rise to the top of her profession did not come about through the careful planning of her career at a young age. She told the Huffington Post in an interview earlier this year: “I think it’s impossible to plan your career and set out that by 40 or 50 you want to be the CEO of the company. It never works that way. Falkengren has been praised – and criticised – for her cautious approach in managing the bank. Shortly after being appointed CEO she decided the best strategy was to build up the bank’s capital reserves so that they didn’t face the type of difficulties many over-extended banks were about to suffer. Despite criticism from some in 2006 for being too prudent, history shows that she was right to stick to her modest and well-informed strategy.